We met with Dr. Brown (GI doc) on Wednesday morning. I of course was hoping for some definite answers but deep down, I knew we wouldn't get any. There was a lot discussed and the appointment lasted an 1 1/2 hours. I'm pretty sure we made Dr. Brown late for the rest of his appointments that day. Anyway, a lot of good things were discussed and here is a quick summary. Allie's breath - seriously smells like poop most of the time. Dr. Brown suggested we take her to a dentist and if the dentist cannot figure anything out then he will perform a "breath hydrogen test". This test is used as a clinical medical diagnosis for people with IBS and common food intolerance's. The test is simple and non-invasive (the kind we like). Dr. Brown would perform this test for Allie to test for SIBO (Small Intestinal Bacterial Overgrowth). Link between GI issues and Autism. 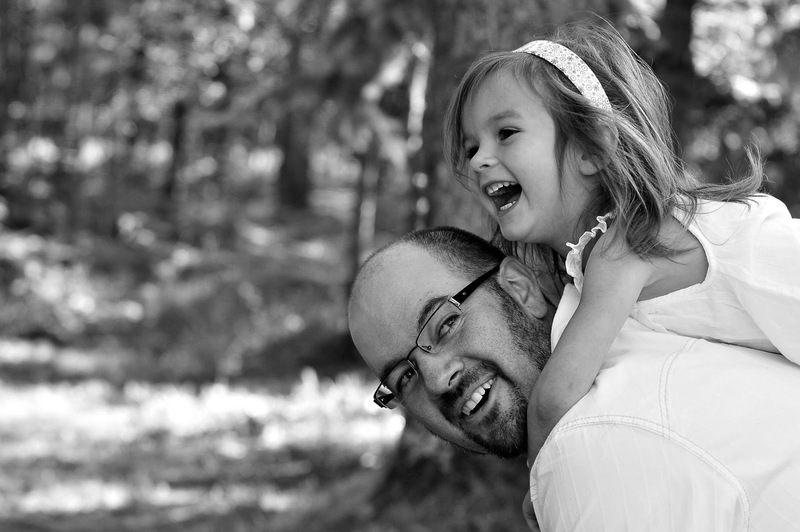 Dr. Brown doesn't think Allie has autism, however he recommends we get a full "neuro developmental evaluation" for her. He said there is a slight possibility that she has Asperger's Syndrome but really he wants to have her tested basically to rule it out. Allie has no problems with socialization but there are some questioning behavior with her listening skills. I am currently in the process of arranging the referral to get her fully evaluated. Our current plan for the next 3 months is to keep Allie gluten and corn free and work on plumping her up. She hasn't gained any weight in the past 2 months and Dr. Brown said we really need to focus on getting more calories into her. If being gluten and corn free for 3 months doesn't change anything in her eating, behavior or anything else, then he recommends we run a few tests. He said we could do one or more of the following tests: swallow study (which she has never had yet), gastric emptying test and or a reflux scan. If we have to do any testing, I would suggest the swallow study. Since this has never been done, we really don't know if anything is getting caught in Allie's throat as she eats. By watching her eat, she seems fine but Dr. Brown said that sometimes you wouldn't notice anything - she would just feel uncomfortable and then stop eating. Dr. Brown reminded us that there isn't much more testing to do. He said that we have seen a large number of doctors and have pretty much done every test available and they have all come back with normal results. He reassured me that he's not giving up on her - which makes me happy! I of course asked him, "when do we stop searching for a diagnosis?". Of course he couldn't give me an answer but he did say that if we do end up running tests the end of April and everything comes back normal, maybe we take a break for 6 months and see if any new symptoms show up. If they do, then it would give us a bit more information as to what to look for. Of course my motherly instinct is saying not to take a break - we can figure out why Allie won't eat. Yet, I hate putting Allie through all this testing, it's obviously taking a toll on her (and me). I have decided for right now, I'm not going to focus on a diagnosis. I'm going to focus on getting Allie all of the calories that she needs and in the meantime, we will keep her gluten and corn free. The whole "diagnosis" search is consuming me and driving me bonkers because I am the type of person that needs answers!!! For me, the unknown is always the worst - I just need to know how many turns are in the road ahead so I can plan and be organized. Unfortunately, God's plan is not that way with our little Allie and I have to accept it. I'm not quite at the "acceptance" stage yet but I'm getting there! There were a thousand more things discussed during the appointment but I won't bore you with more details. Overall, Allie is doing wonderful. She has been vomit free for almost 2 weeks (knock on wood) - I think that is the longest time we have went without vomit (since she got her tube). Yeah Allie!!! Here is a picture of Allie when she was about a month old. I love this picture because it looks like she's praying. 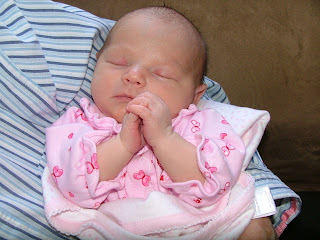 Maybe she's praying for answers, okay I promised not to be obsessed with getting a diagnosis - I'll stop now! Blenderized Baby - I did It!!!! As some of you know, I have been wanting to try Allie on a blenderized diet for sometime, however it's a big step out of my comfort zone and I haven't been 100% ready. Actually I'm still not 100% ready but I'm getting there. For some reason today I had the "urge" to tube feed Allie real food. So, I did the only thing I knew - I emailed my friend Stephanie in California who's daughter is on a blenderized tube feed. Stephanie is very knowledgeable about nutrition and has offered more than once to help me with Allie's blenderized diet when I am ready. So, for some reason, today was the day I wanted to try it. I asked Stephanie to provide me with a "very easy" ingredient list consisting of 1-2 items to blenderize. I need to start in baby steps especially when I'm out of my comfort zone. I knew I wanted to use a banana - not sure why but I did. So this is what Stephanie suggested for me. This comes out to be approximately 43 calories an oz and this made 12 ounces. 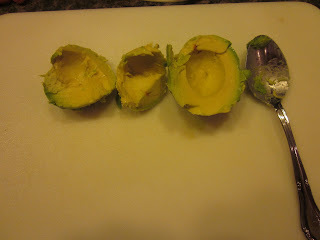 I saw the word avocado and I thought - hmmmm....I've never even bought one of those before much less cut one open. 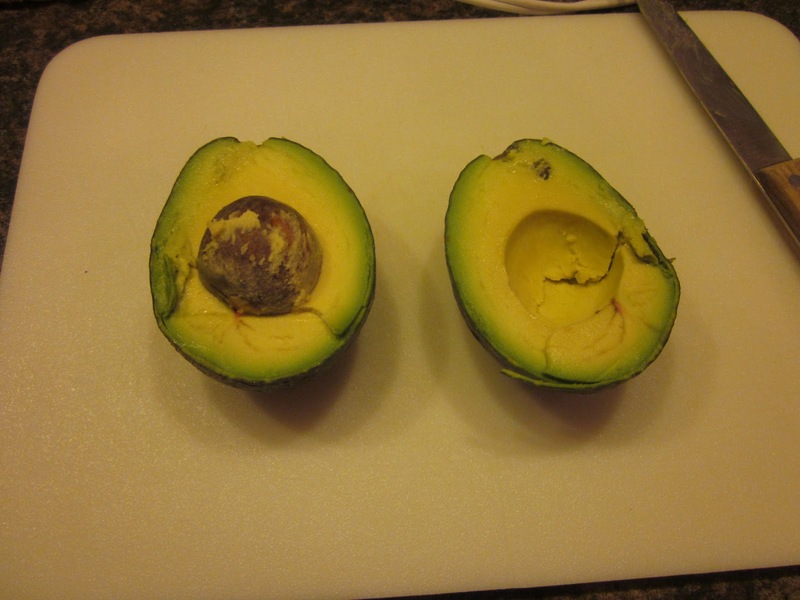 So, Stephanie kindly emailed me directions on how to cut one up. 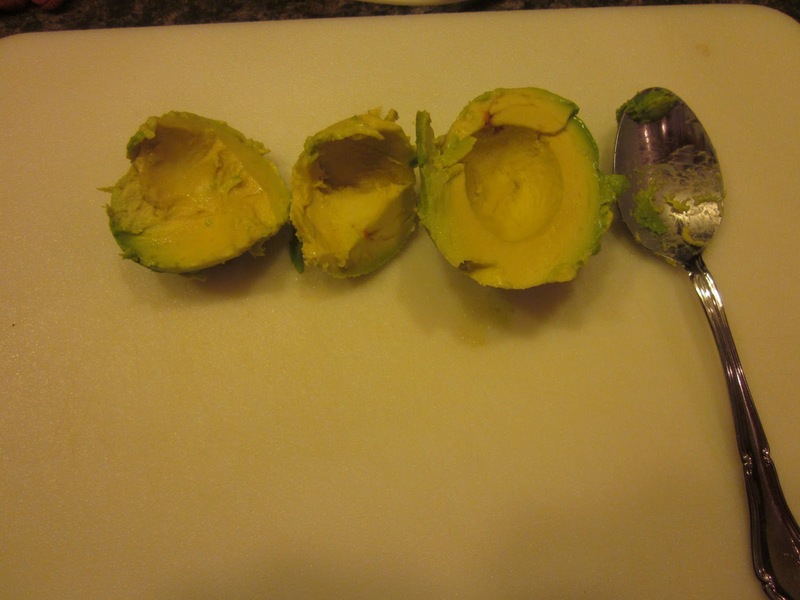 I know it's crazy but honestly an avocado isn't a "normal" food for our household. Ice cream is a different story - you all know how I love my ice cream!! At this time, I am not taking Allie off her Neocate Jr. formula or her E028 Splash formula that she drinks orally but I am adding one tube feed a day of blenderized food for Allie. We have been struggling to get enough calories into Allie each day and I have been waiting to hear back from our Dietician on what we should use, so I finally got tired of waiting. I had spoke to our Dietician a week or so ago and she suggested several products, actually I blogged about it. However, the Dietician never confirmed what we should use and she never provided us with a sample, so maybe she's not worried about the calories that Allie is lacking. I am worried and therefore I have decided instead of using medical calorie supplements, I would use real high calorie foods. So, this new blenderized food for Allie is just for 1 extra feeding a day however you never know where this will lead us. In a month I might be blogging about how Allie is fed 100% real blenderized food - you never know (but don't get your hopes up) - lol. For those of you interested, I took quick pictures of my blenderized food journey this afternoon. 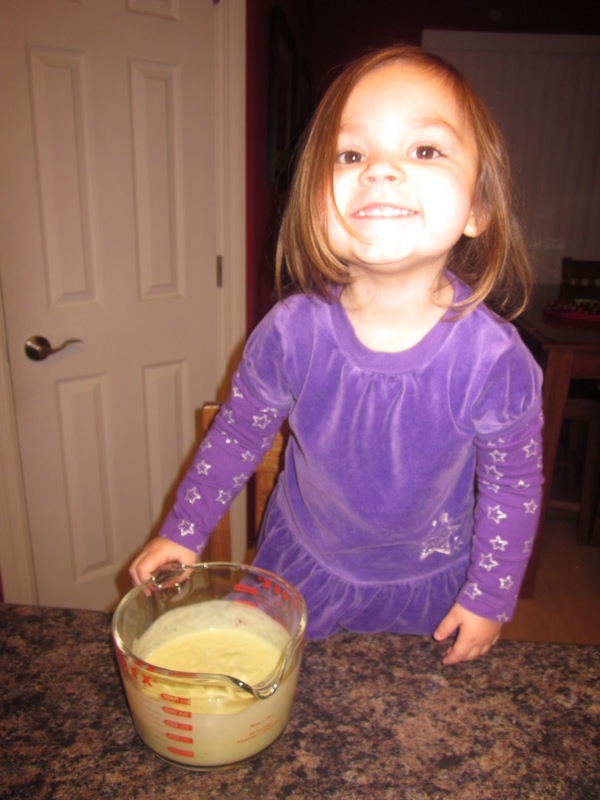 It was easy and quick to make Allie's food so I hope the pictures provide you with a little more information on how to prepare a blenderized meal that can be tube fed to your child. Keep in mind this formula is basic and it's just the beginning. This is just the first step - if we decide to do a complete blenderized diet for Allie, our ingredients would need to be changed. This is all I used, whole milk, a banana and 1 avocado - and one very cheap blender! It was my first experience with an avocado - this is what is looks like when you cut it open. 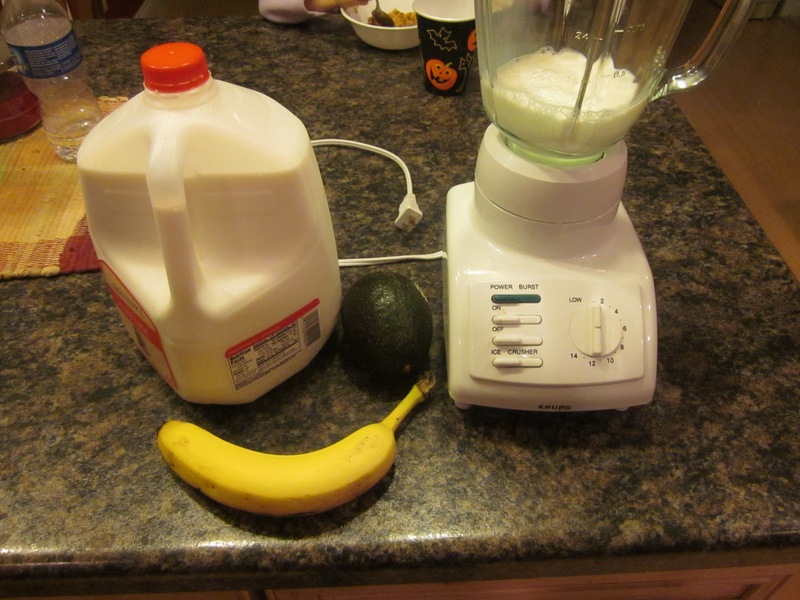 I put it all in the blender and blenderized it!!! I'm super scared about clogging her feeding tube so I strained the food to make sure there were no chunks - and there wasn't. This is what the finished product looked like. Anybody want to get green slimed??? I let her play in it and she actually tasted it. She said it tasted good - crazy girl! Allie kept asking why it wouldn't go down. It was a bit thicker than her Neocate milk so I had to plunge it in - which went fine. I'm so proud of Allie - she accepted the new food with no problems. Thanks Stephanie for helping me through this first step in the blenderized world!! On a side note, we meet Dr. Brown (GI doctor) tomorrow morning to go over what is next. Not sure if he will have any other suggestions or recommendations for Allie or not. I have a list of questions for him so I hope he's prepared for me!! I'll update tomorrow after her appointment and let you all know how it went and what if anything will be done in the near future to try and get Allie a diagnosis. Allie met with Dr. Edmonson (ENT doctor) this morning. It was a short & sweet appointment, not quite what I was looking for, however all of my questions did get answered so I cannot complain. We did get 1 big answer today. Allie's corn allergy is not the reason she doesn't eat orally. I kind of knew this but just hearing these words come from Dr. Edmonson was somewhat settling. We all knew that removing corn from Allie's diet would not miraculously make her eat food - that is too far fetched. However, we did think we would at least see a slight increase in her oral intake - but we didn't. What we have seen since removing corn from her diet is her eating fluctuates more than before. On a good day, Allie might eat a hog dog for lunch but then not eat anything significant for the next 2-3 days. So basically, he's saying her growth could be stunted because of her corn allergy, she could have developmental and speech delays because of her corn allergy. Hmm...seems strange to me but who knows. Since nobody really knows how this allergy is affecting her, Dr. Edmonson would like us to keep her corn & gluten free until the end of April and see if anything with her changes (eating, growth spurt, development, speech or other activities). If nothing changes, we can start feeding her corn products again. He said that if being corn free for that long shows no changes, then there is no good reason to keep her corn free. Dr. Edmonson said it's such a fine line right now as to what is better for her - letting her eat whatever she wants whenever she wants or keeping her corn free. He said that no doubt her allergic reaction was severe but our main problem is her oral eating so according to him, if Allie wants a specific food item and it has a little corn in it, we can let her have it. However we need to keep her corn free as much as possible. Allie's weight hasn't changed since the end of November. She is still 24.6 pounds. Her height has also stayed the same for the past 2 months - still 33 inches long. She has once again fallen farther down the chart for her weight and she's even farther off the chart for her height. Is this due to the corn allergy??? I doubt it. We know Allie isn't getting enough calories right now and we are working on bumping up her calorie intake. Our goal - keep Allie gluten & corn free and see if she grows. Our other goal - increase her calories and see if she gains weight. Let's say we do both and she grows.....which one is causing her to grow. I'm stuck right now because we are continuing to make two big changes (keeping her corn free & adding calories) and both of those things have the same ending goal. So what do we do? Allie needs the extra calories for brain development so that takes the cake. I hate making too many changes at one time because then you never know what is actually the true reason things are changing. We had this same issue with her going corn free and taking her off the backpack during the day. Her behavior got slightly better but we don't know if it's cause she's corn free or if it's because she no longer has to wear her backpack and pump during the day - which she absolutely hated. 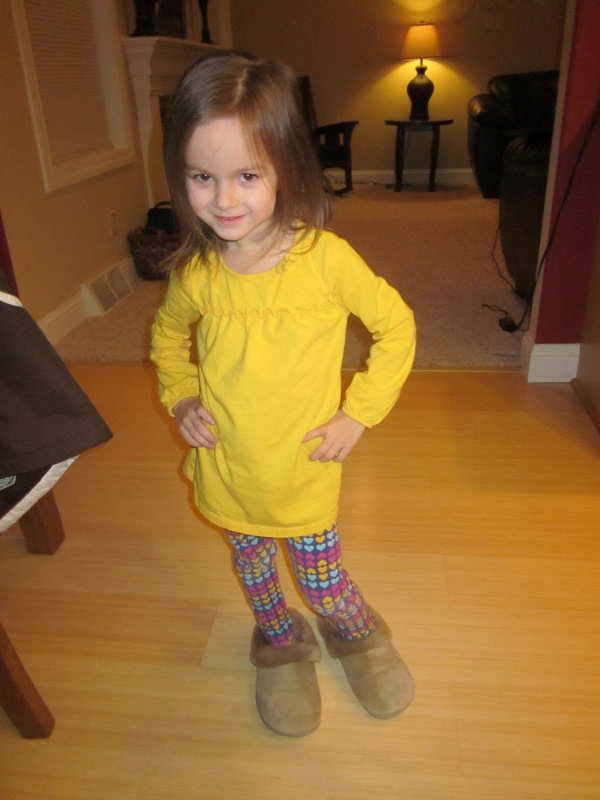 (if you remember I video taped her tantrum because she didn't want to wear her pump). Anyway, there is no doubt about adding extra calories to her tube feeds - that's a must but I'm still sitting on the fence about the corn. Do I let her eat corn and see if she grows with the extra calorie supplements or do I keep her corn free and then not know why she is growing.....hmmmmm...decisions. Here are a couple pictures of the girls dressed as a fire fighter. 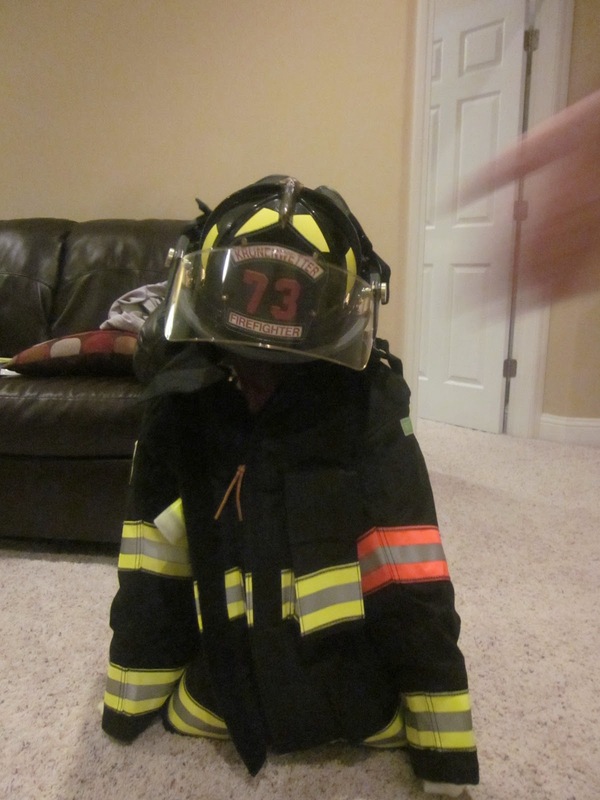 Congrats Matt on becoming a volunteer fire fighter again!!! Yes - Allie is still in there! 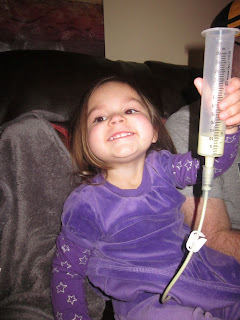 I just finished writing a real long blog post about how tired I am with the whole feeding tube situation and not being able to get a diagnosis for Allie. It was a pity party for myself and after reading it then re-reading it and reading it again, I decided to not post it. I know the families out there that have a tube fed child understand the daily struggles we face but sometimes I just want others to understand it too. I don't want people to feel sorry for us - there is nothing to feel sorry for. We have a great life and 2 beautiful children that are wonderful. 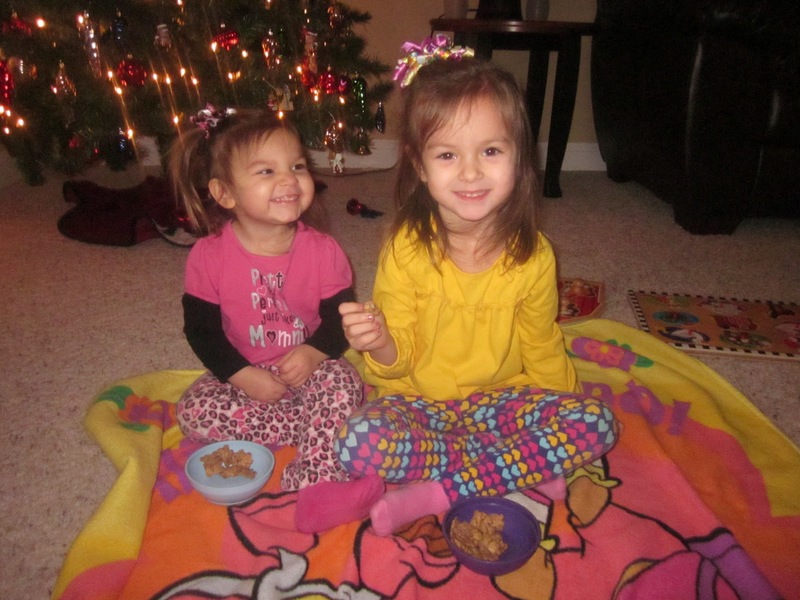 I wouldn't change anything about my life (except maybe the fact that we had a babysitter - lol). In many ways I feel blessed that Allie has a feeding tube. For starters it's keeping her alive everyday but also for the fact that I have become so knowledgeable about many medical issues and I feel educated enough on Allie's medical needs to stand up for what is right for her. I have learnt how to stand up and voice my opinion and not back down. I have become a much stronger person since Allie came into this world. The following information comes from the website http://www.feedingtubeawareness.com/. 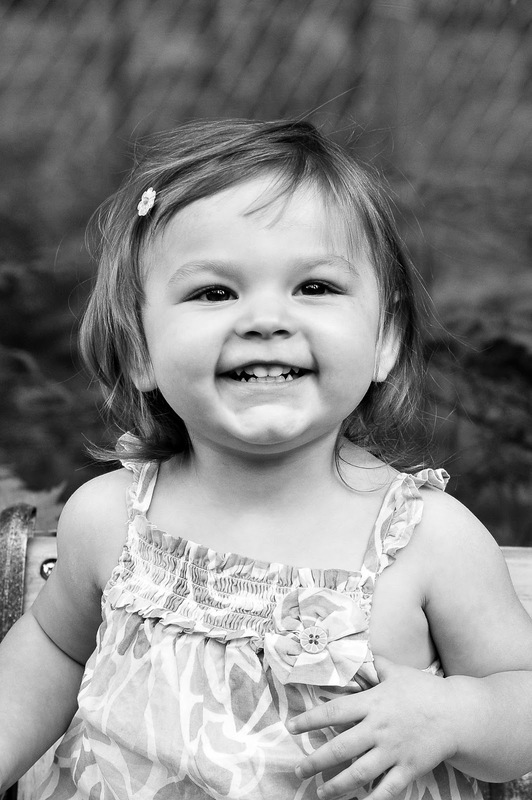 This is a wonderful website that provides endless information about children with feeding tubes. The information on the site is all provided by parents of tube fed children - it's real and not something out of a text book. This is by far my favorite site! 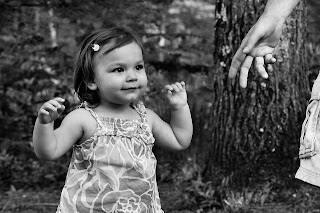 There is a section on the site called "family" - here is some of what you will find there...........I know it's long but it's worth reading! 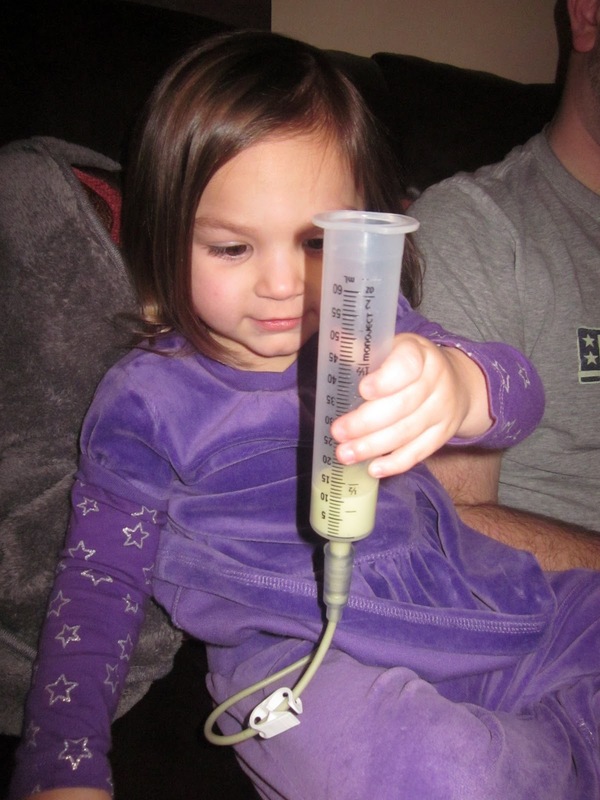 We want you to understand a little more about what it is like to have a tube fed child. Because often, it means so much more than our child eats differently than other children. Nearly all tube fed children have sensory issues from multiple hospitalizations, invasive testing, far too many doctor appointments and generally not being able to interact with their environment like other children do. Moreover, children with feeding tubes often have them because of having complex medical issues. The irony, is that many tubie kids do not look sick. 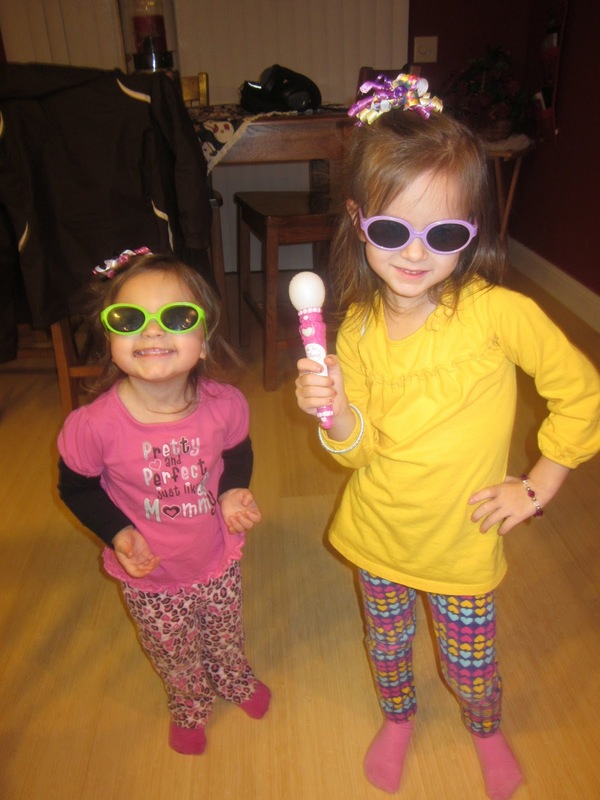 Check out the bios of our tubie kids! However, because they do have underlying medical issues, they may be at increased risk when exposed to germs. Please understand it takes a lot to keep our kids looking and feeling healthy. We need to arrange childcare or for the other parent to be home so that someone can take care of our tubie. Moreover, we need to make sure that whatever is needed (clean medical supplies, formula, medications) are all set up. All that said, we do like to see friends and go out. Like any parent, we might have things that come up that require us to change plans. Restaurants are not easy for tubie kids. 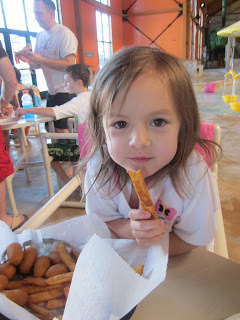 Any child in a restaurant can be difficult, but tubie kids typically can't be distracted by food. Moreover, people tend to stare when you bring a child to a restaurant and do not feed them. Wait staff may even take it upon themselves to bring your child crackers (this happened to me and the we had to go through a lengthy explanation of why our child couldn't eat). 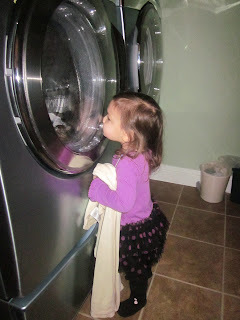 There are a lot of things that keep tubie parents up at night. There really isn't such a thing as letting a tubie cry it out. 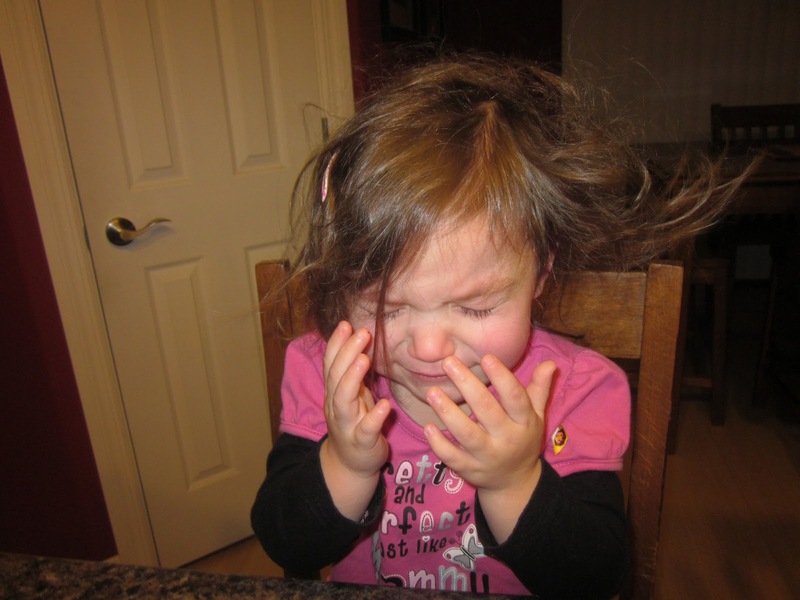 The vast majority of our kids have reflux and crying quickly can lead to vomiting. 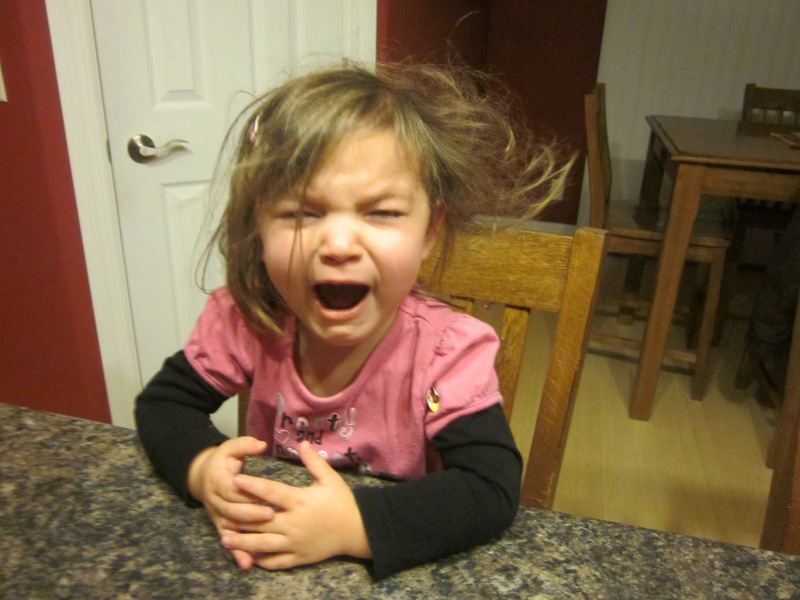 Kids with reflux aren't always the best sleepers. Some vomit in the middle of the night. We investigate every noise. It could mean our child is in distress, it could mean they are caught up in their tubing, it could mean that their bed is soaked because the feeding tube med port popped open and formula has been flowing into the bed. Moreover, monitors or feeding pumps can and do beep. Add on other respiratory or sleep apnea issues and you are looking at a mom who is wondering when the last time she had enough consecutive sleep to dream. We love when when people get that this is hard and acknowledge what we do for our kids. The vast majority of us feel like any parent would step up and do the same thing if their child had medical issues. We don't particularly feel that we were chosen for this based on super special abilities. Everyone can do this, but thankfully most people do not have to. Rather than telling us how bad you feel for our child or for us, try to focus on an accomplishment or acknowledge the challenge. It is great that [Child] is handling this so well. Or I know it must be hard on you [Parent], but you are doing a good job. Some of our kids are on SSI or Medicaid. It is because any child on a feeding tube is legally disabled and they are entitled to certain services. Please don't think we are milking the system or are lazy. Some tubie parents qualify for WIC, too. Specialized formulas can be incredibly expensive. Moreover, some insurance plans do not cover them. If our insurance plan did not cover my son's formula (which is amino acid, elemental and hypoallergenic). It would be upwards of $700 a month. On top of that there are copays for doctors, tests, other medical supplies. Som medical supplies aren't covered by insurance at all. Moreover, many tubie families have to have at least one parent who is home. There are few jobs that have the needed flexibility that is often needed when a child has feeding issues or other medical complexities. So, money can be tight. I am so happy I spared you from my pity party and decided to post the above instead. Thank you for following Allie's story and for the endless prayers we have been receiving. 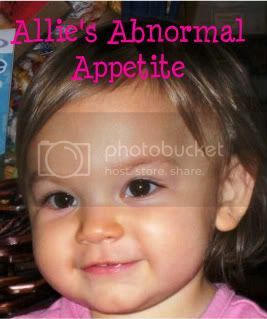 Allie meets with her ENT and GI doctor next week so please continue to pray they have suggestions or further testing in mind that might lead us to a diagnosis for little Allie. Yesterday morning Allie and I met with Tonja our Birth to 3 coordinator, Susan with the Children's Service Society of Wisconsin and Julie who is a Speech Therapist at the Mountain Bay Elementary School. This is the first meeting to transition Allie from the Wisconsin Birth to 3 program to the Early Childhood Program. Once Allie turns 3, she is considered a school aged kid so she will no longer get services from the Birth to 3 program. Our meeting went extremely well. Everyone was very helpful and they were able to answers all my questions. The Early Childhood program is "special ed" and the classes are at Mountain Bay Elementary school. 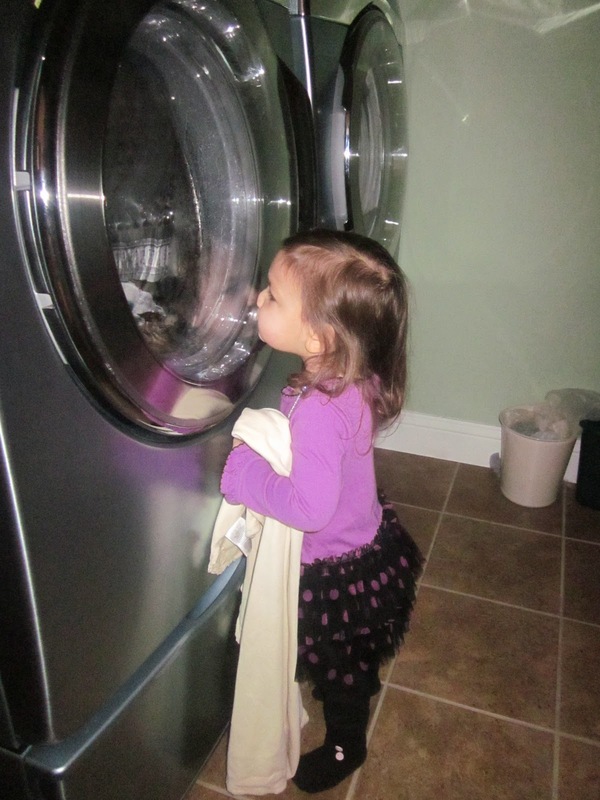 This is a different school than what she would go to if she wasn't enrolled in the Early Childhood program. 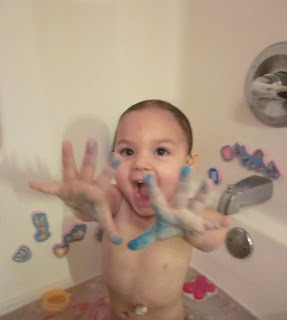 At this point, we do not know if she needs the Early Childhood program or not. Within the next 60 days, the Early Childhood program will take 3 days and evaluate Allie thoroughly. If she has significant delays in two areas or more, then she will qualify for the program. 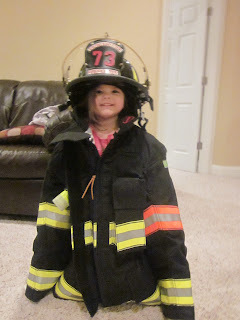 If she does qualify, she will attend preschool T-F from 8:30 - 11:00. During this class time, she will get the therapy she needs (based on their assessment). 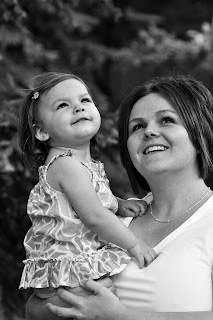 She currently receives SPT & OT through the Birth to 3 program. 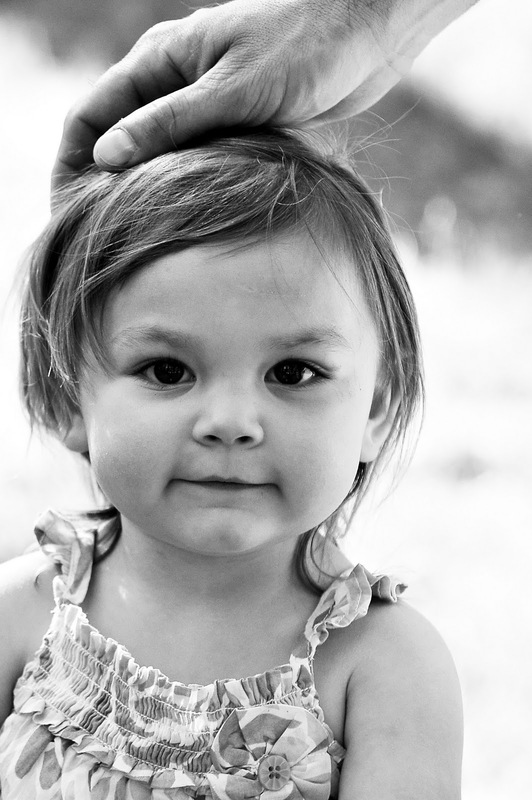 If Allie does not qualify for the Early Childhood program, she can still receive therapy through the school system. 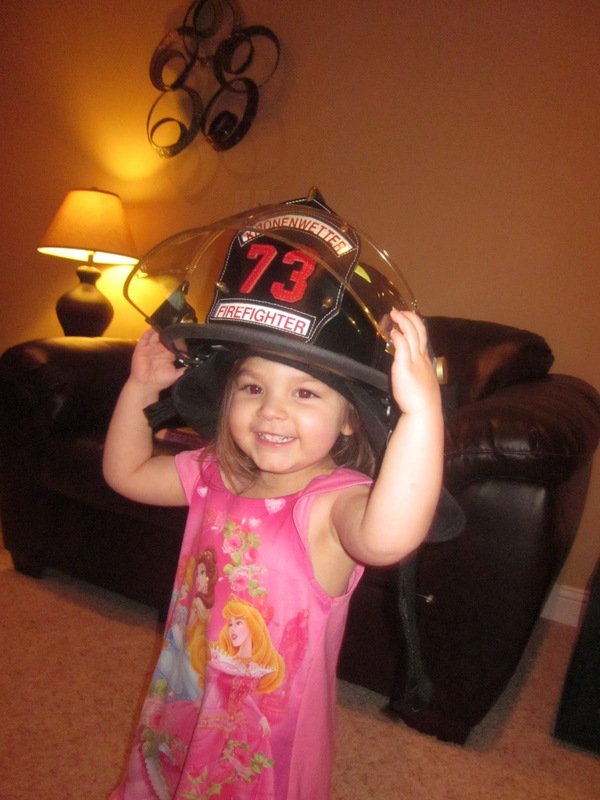 We would be able to take her to Evergreen Elementary (where Chloe will go) for her therapy sessions. After her evaluation with the Early Childhood program (and if she doesn't qualify) the Therapist will recommend how much therapy they feel Allie needs each week. At this point, we will also be able to enroll Allie in whatever preschool we choose. So - it's up to the State what Allie will qualify for. I'm not sure what I'm praying for - either option is good. I just want to make sure that we don't miss any "opportunity" to help Allie catch up to her peers. My personal opinion is that Allie is not significantly delayed overall, however we do know she has a pretty significant speech delay and her behavior with other children can be quite unmanageable. We are also still trying to figure out if she has an auditory processing disorder or if she simply is just choosing to completely ignore us - it's honestly hard to tell! She listens sometimes but other times she's way out in left field and completely ignoring us. Anyway, our meeting went well and we are taking steps in the right direction. Now, if only her medical mystery could be solved! We meet with her ENT doctor on Monday and her GI doctor on Wednesday. These appointments will be to review in detail all of her latest test results from December and also to see how she is doing now that she's gluten and corn free. I am starting my long list of questions. If you think of anything we should ask the doctor, please speak up. I know a lot of people read the blog and I'm sure many of you have your own opinions, etc - so let's hear them. 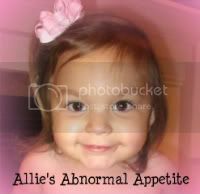 Maybe YOU, yes YOU can help diagnose little Allie! Oh yeah....have I mentioned how I HATE the night time pump. This is how Allie woke up the other morning - all tangled in her tubing! I hate the night time pump! 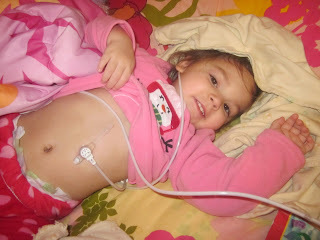 Feeding Tube Awareness week is coming up on February 6-12, 2011. I created this video to help spread positive awareness on tube feeding. Allie is alive today because of her feeding tube! I will forever be grateful for this medical device - without it, our precious Allie would have starved to death. For information on feeding tubes, please check out http://www.feedingtubeawareness.com/ This website was created by a tubie mom and we are all contributing to it. 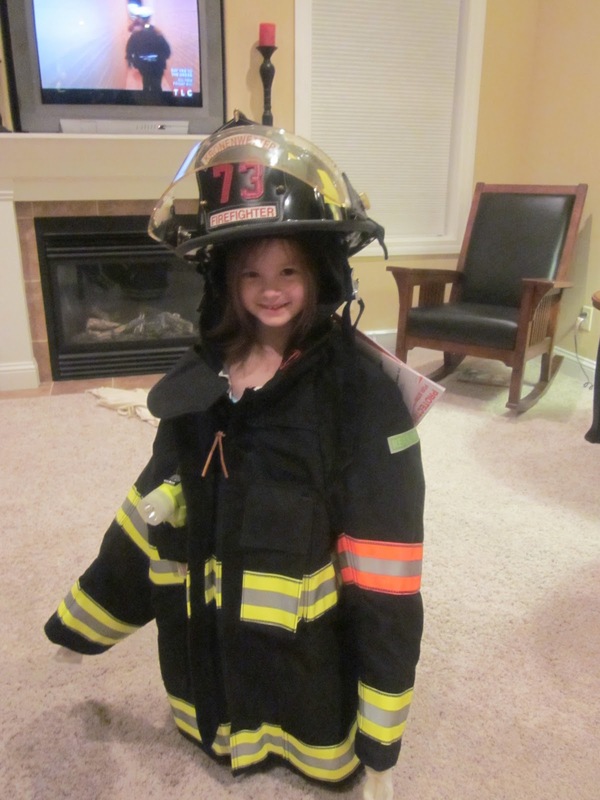 Allie's picture is on the site under "Tubie Kids". 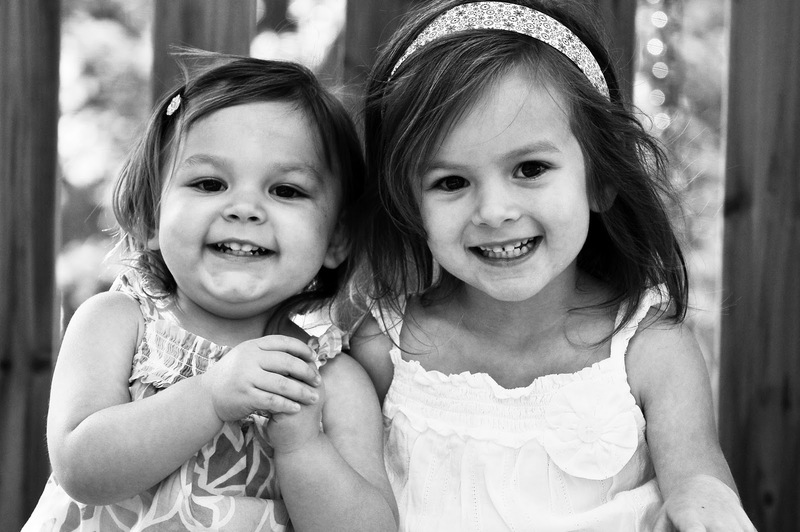 There are many beautiful and blessed kids with feeding tubes. First off, I still cannot tell if Allie is eating more than normal. I know it sounds ridiculous but honestly I cannot tell. Her oral eating seems to be fluctuating more and she will eat good one day but then not eat anything for the next couple days. Right now, we are in one of those "next couple days". Allie hasn't eaten anything for over 24 hours. Yes, she's taken a bite of something but she hasn't consumed more than 30 calories - that's not good. It's like I'm living a roller coaster watching her eat then not eat - at this point, being frustrated is an understatement. So, since I'm already frustrated I will continue......I started giving Allie Ovaltine in her whole milk to boost the calories in it. We mix her Neocate formula (tube formula) to be 34 calories an ounce. The only liquid she consumes for calorie purposes is whole milk. Whole milk is 18 calories an ounce. Allie currently can only handle 4 oz of liquid at each bolus feed - so if she is drinking 2 oz of whole milk, we give her 2 oz of Neocate. Well, the whole milk is less calories so we are running into the problem of Allie not getting all of her calories required per feeding, simply because she can only handle 4 oz of liquid and the whole milk isn't high calorie. So, I added Ovaltine which ad's 10 calories per ounce. Great.....it was working. Then I found out from my friend that Ovaltine isn't gluten free. I checked into the Carnation Breakfast which is gluten free but contains corn - yeah! I finally decided to call our Dietician today to see what she recommends we do because the whole milk is just not enough calories so I need to add a calorie supplement to the whole milk. Allie's weight has dropped slightly and I know it's because she's not getting all of her required calories. When we met with the Dietician before, Allie's new calorie goal was 1100 a day. She is only getting 800 on a good day. Even if we don't give her whole milk and just feed her Neocate as our current feeding schedule is, she is only getting 850 calories a day - that isn't enough. 1) Try using a calorie supplement called Benecalorie. 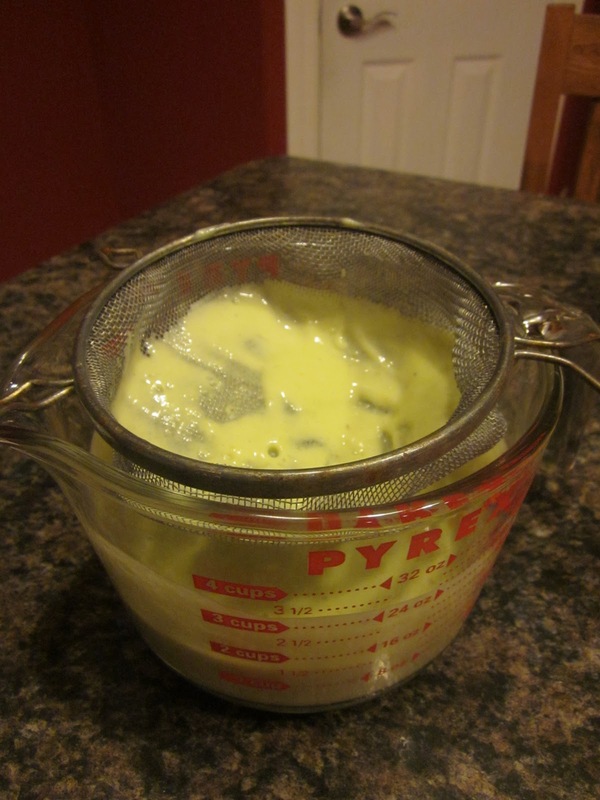 This is a powder that is mixed into food. downside - Allie isn't eating much food so it won't be the most effective. 2) Try using a calorie supplement called Beneprotein. This is a powder that can be mixed into liquids. 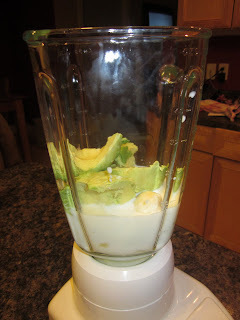 downside - Allie could only use this once a day because the Dietician doesn't want her to get too much protein. 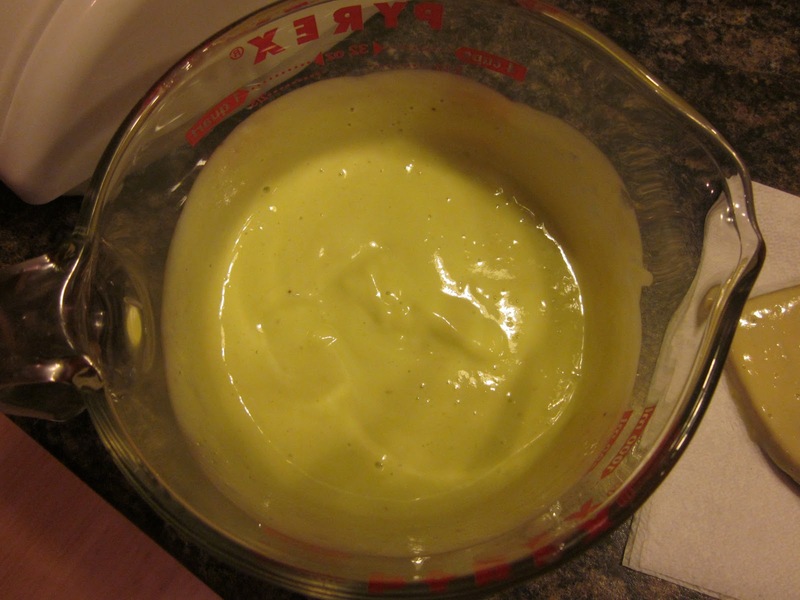 4) Try using MCT oil. I don't know anything about this yet. The Dietician is going to mail us a sample of the Benecalorie and see if we think it will work at all. In the meantime, she is going to do more research on the other options to see if they would be better for Allie. I also told her that we would bump up her night time pump by 1 cc per week until we get to 35cc and hour. Allie is currently at 30cc an hour. Previously, Allie could never handle more than 30cc/hour or she would vomit. Last night we raised it to 31cc/hour and she was up a fair amount because she was uncomfortable. We'll see what happens tonight. I am tired of pushing the limits with her stomach volume - nobody wants to see their child vomit because too much milk was put into their feeding tube. So yeah I'm frustrated - but it's nothing too bad. This is just one more hurdle to overcome. The Dietician had talked to us about calorie supplements when we met her but Matt and I decided to not go that route quite yet. Of course, it's one step in the wrong direction for getting Allie off the tube someday, but I finally see we are at the calorie supplement hurdle and we will deal with it. On the bright side....Allie's little mic-key button that she is so proud of is continuing to save her life. Honestly, she isn't ready to get rid of her button quite yet - she loves it (doesn't like the feedings but likes her button) so we plan to hang on to it for a while! Here are a couple pictures of the girls. 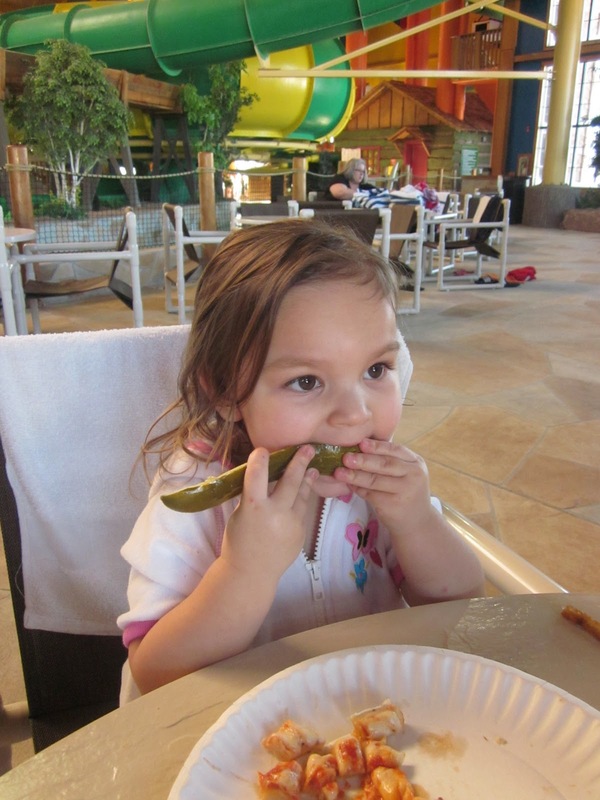 Allie eating her favorite food - a pickle! Helping others.....it's never over-rated. In life, we are all facing different obstacles and sometimes someone somewhere needs us more than we think. How would you like to help bring happiness to a complete stranger? It costs less than $5.00, it will only take a couple minutes and it will make you feel so much better about yourself. I am going to help make a complete stranger smile - will you? Lauren Senn lives in Howard City, MI and her brother has Mitochondrial disease and is very sick and on the verge of hospice care. Beautiful Lauren is turning 4 years old on January 24th. 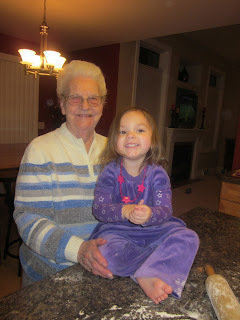 The last several months have been very difficult on her as her brother is having many complications with his disease. 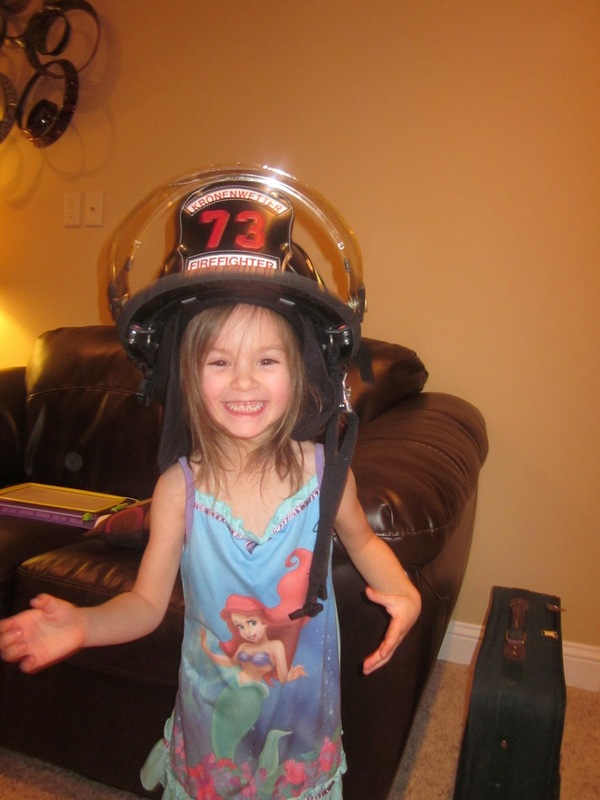 Like any kid, Lauren loves getting mail so her family is hoping some people will be able to send her a card or a letter to help make her birthday a very special one. As we have experienced in our own family, the child with special needs gets more attention than the other child. It's not fair but we have yet to find the equal balance. We try to do special things with Chloe so she doesn't feel left out, however the true reality is, life revolves around Allie and her feeding schedule, vomiting, numerous therapies, doctors appointments, procedures and well you get the picture. 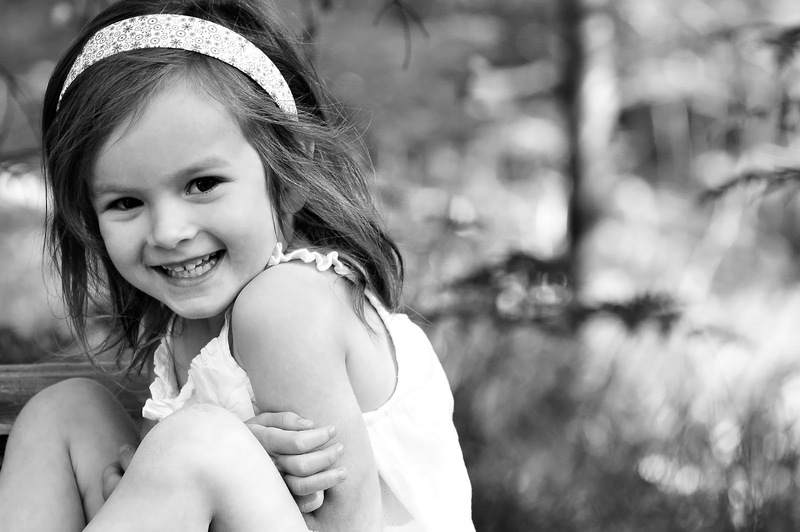 So, let's make precious Lauren feel extra special on her 4th birthday - all you have to do is send her a birthday card!! Thank you for supporting other tubie families!!! I don't want to jinx her so shhhhhh let's not celebrate too much until we give her a couple more days and see how she eats then. I just had to share my little bit of good news. Have a great day! As many of you know, we have been struggling with Allie's bad behavior for quite some time. Our little Allie is determined and very strong willed. She has been like this since birth and at around 17 months old, we noticed her behavior was just getting worse. We finally talked to the doctor about it and he witnessed some of Allie's bad behavior and agreed with us that it was more than just the "terrible twos". Our Psychologist at CHW said Allie has post traumatic stress syndrome. This was most likely due to all of the medical procedures that she has been put through and she just could not handle it. I would always say, "Allie's need to be in control is out of control". Our Psychologist recommended we start seeing a mental health therapist for Allie. So, we added another doctor to Allie's list but the best part was, she is in Wausau so we didn't have to travel. We started seeing our new Psychologist and she gave us some great tips to deal with Allie's behavior. 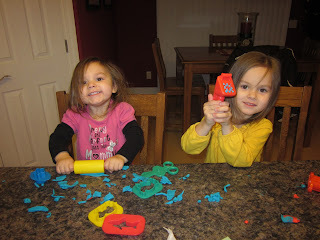 After implementing several of her techniques, we realized it just wasn't working for our family. We had been instructed to put Allie in her room every time she doesn't listen or even when she wines. Basically, Allie was spending all day in her room. Not to mention, every time we put Allie in her room, she would get mad and have a tantrum, which in turn would leave to endless vomiting. After talking to our Psychologist about this, she instructed us to continue doing it and Allie would eventually learn that inappropriate behavior is not tolerated in our house. I think our Psychologist had some great points and techniques but they just were not fitting into our life at the time. So, I had enough and I decided to throw in the towel and find other help for Allie. After talking to our Birth to 3 coordinator, she told me that our Occupational Therapist could work with us on Allie's behavior. I was thrilled because Sheena and Terri already know Allie and we are very comfortable with both of them. At each OT session, they offer us advice and different techniques we can try with Allie. She had OT this past Tuesday and they suggested we try something new, called "Beads for Good Behavior". How this new behavior technique will work is the girls will get a bead (to make a bracelet or necklace) every time they do something good. So, here are a couple examples that Allie can get beads for. Keep an open mind - some of these things are simple tasks but most of the time Allie refuses to do them and it turns into a half hour tantrum. These are just some examples but you get the picture. 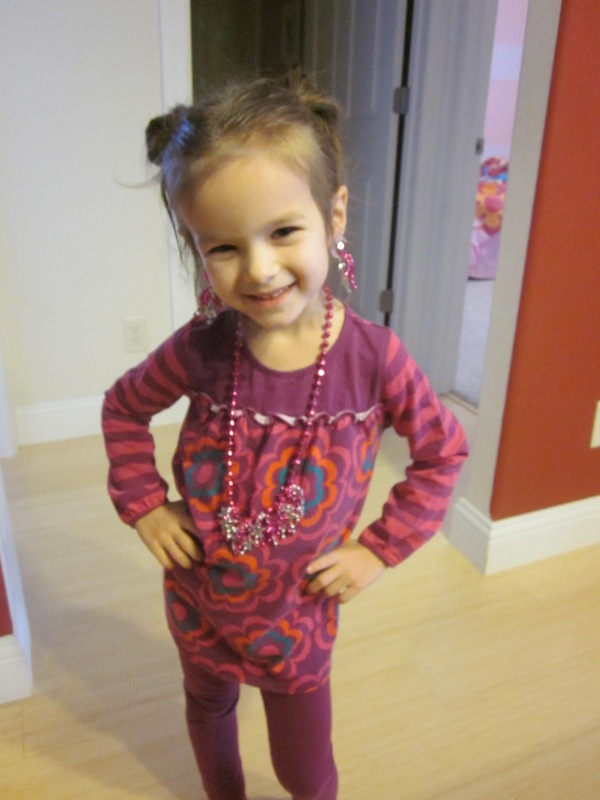 Of course, Chloe has a whole different set of "good behavior" that she can earn beads for. 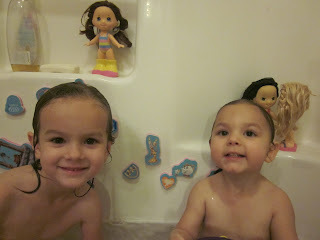 Once the girls earn enough beads and their necklace or bracelet is full, they will get to wear/play with their necklace. At that point (if we ever get there), they will be aloud to start making another one. So far this behavior technique is going pretty well. It's working wonderful for Chloe - however we don't have behavior problems with her. Allie is doing pretty good also - she seems to lose interest in the bead though. She initially gets excited and starts her "good task" but then easily forgets and refuses to continue what she is doing. since Tuesday, she has earned about 5 beads so that's not too bad. The other night, I asked the girls to pick up the playroom and Allie just flat out refused. She stood there and instructed Chloe on what to pick up (sassy I know). 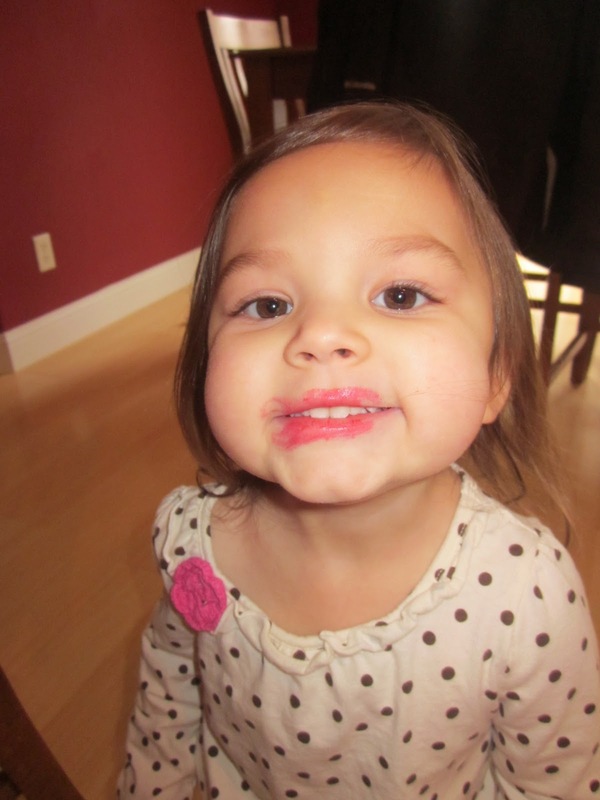 Chloe picked up the whole playroom so she got a bead. Allie had a meltdown because she didn't earn a bead - I thought for sure this would teach her a lesson. Well, that time it didn't but maybe it will next time. Anyway, I just wanted to share with you our new behavior technique. I think it's a great idea and I bet it will work on a lot of kids. I'll let you know how it works for little Ms. Allie. As for her medical standpoint, things are going alright. Her feeding are going pretty well but she still has the occasional vomiting. I have started tracking what she is eating and tracking her vomiting because it seems as if her vomiting is a little more often than before - but I'm not really sure. Her nights are getting worse and worse, seems she is up 6 times or more during the night. Part of it is she is just used to us getting up every time she cries, but I cannot help it. I'm always so nervous she's tangled in her feeding tube or something is pulling on her mic-key button. I am just a worrier so I always have to go in and make sure things are okay. I should know better because every time we get up, she either wants to be tucked in or she wants her slippers on. I know I'm a sucker, but she's still my baby girl. Anyway, not sure if her being up 6 times a night is just a phase or what but Matt is getting very tired of it. He said we have to let her start crying herself back to sleep - not sure if I agree with that - lol. 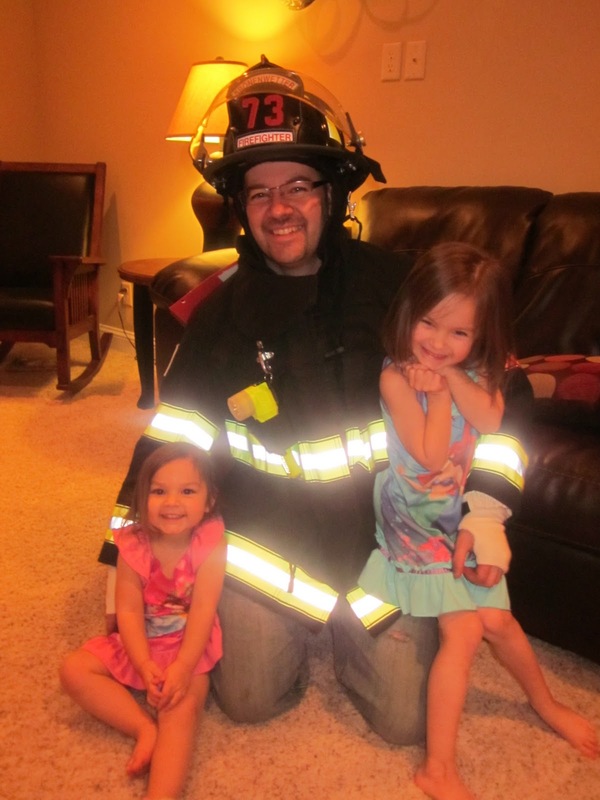 Thank you - these families are facing some tough times and we all know the power of prayers! So, our little home style allergy test didn't work so well, at least we don't think it did. As of 9:00 tonight, Allie had her cream corn bandage on for 48 hours. I was going to take it off last night but she didn't want us to so we kept it on. Basically all that happened was the corn dried on the band-aid and she had no reaction at all. 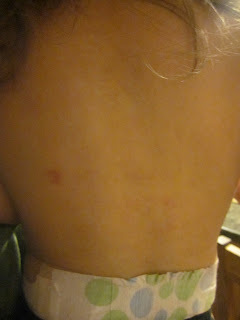 Her back was very itchy from the adhesive on the band-aid and it actually was red and a bit swollen. So, I would say she is a little allergic to whatever is in the adhesive, but no results from the corn. 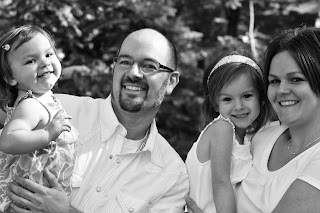 We give up - no more home style testing for Allie Rae. I do have to say, I am happy we tried because otherwise I would have always been wondering if it would work. When we meet with the ENT Specialist the end of January, I'm going to ask if they can retest her for the corn allergy. I just want to make sure we didn't get a false positive reading. Removing corn and all products of corn from her diet is challenging so we would hate to make her go corn free if she really doesn't have to be. I'm not sure if Dr. Edmonson will retest her for us or not but I figure it's working asking. Our Dietician was back in the office today so I was able to chat with her for a bit about Allie's new formula. As some of you might remember, the first ingredient in her Neocate Junior formula is "corn syrup solids". Our Dietician told me again today that since the ingredients are so refined, there should be no corn protein left, just corn carbohydrates. However, she cannot guarantee that. Tammi our Dietician contacted Dr. Edmonson herself this afternoon since Dr. Edmonson is the one who requested Allie not be on the formula. I guess after they chatted, Dr. Edmonson agreed the formula is okay for now but they may have to change the formula in the near future - it will depend on how Allie does on it. In my opinion, she is doing good on the new formula. She is handing all of her feeds much better than before, however she is now back on the night time pump so that is a huge difference also. We are no longer trying to get 1000 calories into her in 12 hours - it's now happening over 24 hours, so her volume at each feeding is much lower. Overall the feedings are going well, however we are not moving in the right direction to possibility wean her off the tube one day. Our first goal in the wean process is getting her off the night time pump and now our Dietician wants to increase the night time rate so she gets fed more volume during the night. At this point, I need to just focus on Allie being able to tolerate her feedings and not think about how far away we are from weaning her. I was driving in my van the other day and all of sudden I felt this huge cloud over me. I realized Allie has been tube fed for a full year now. I'm thankful for her feeding tube because it's saving her life daily, however it's a heavy feeling realizing it's been a whole year. This past year has been very challenging, especially for poor little Allie but overall, she is advancing well and meeting all of her milestones except for her speech and of course weight and height! (I'm still concerned that she is so short). Hopefully one of these doctors will listen to me and address my concern! We went out to eat tonight at a restaurant called "Grazies". It's in Stevens Point and they make all of their own food. We called them ahead of time and they confirmed they have stuff we could order that was gluten and corn free. We ordered Allie rice pasta with marinara sauce. We figured this would work great but it turned into another huge failure when going out to eat. Chloe ordered mac & cheese and of course Allie wanted some of it. Allie didn't even touch her rice pasta. The minute she saw it, she started to cry and kept pointing to the mac & cheese. The whole eating out thing is proving to be nothing more than a disaster. Looks like we will be eating in for a while. We are pretty bummed about this because we enjoy eating out and this mom doesn't like to cook a lot. I don't mind making meals every couple nights but every night???? Hmmmm....looks like I am going to have to take up a new hobby called "cooking"! Allie back after removing the cream corn band-aid tonight. You really cannot see anything in this picture. 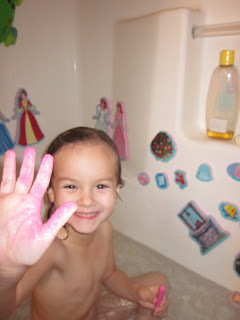 Pink hand from coloring in the bathtub. 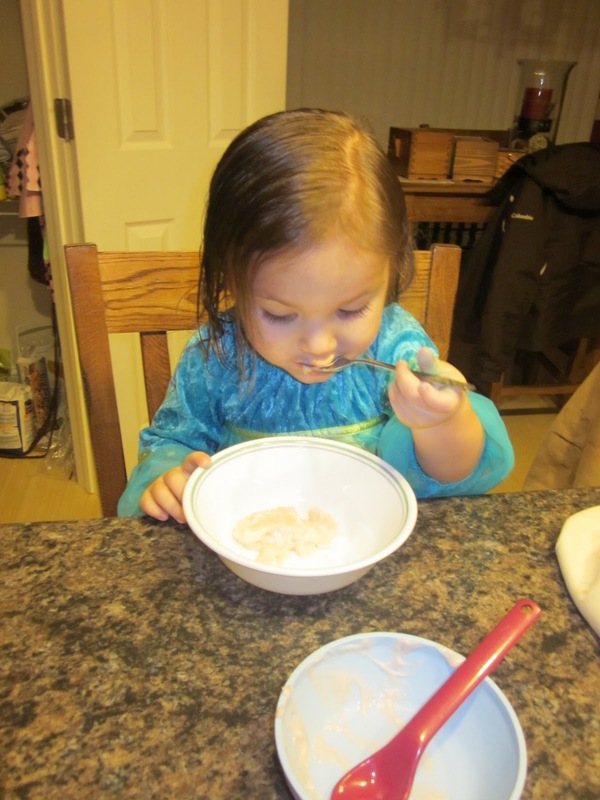 Allie eating her 2nd bowl of pudding tonight after her bath. Granted there wasn't much in either bowl but at least she's eating!!! 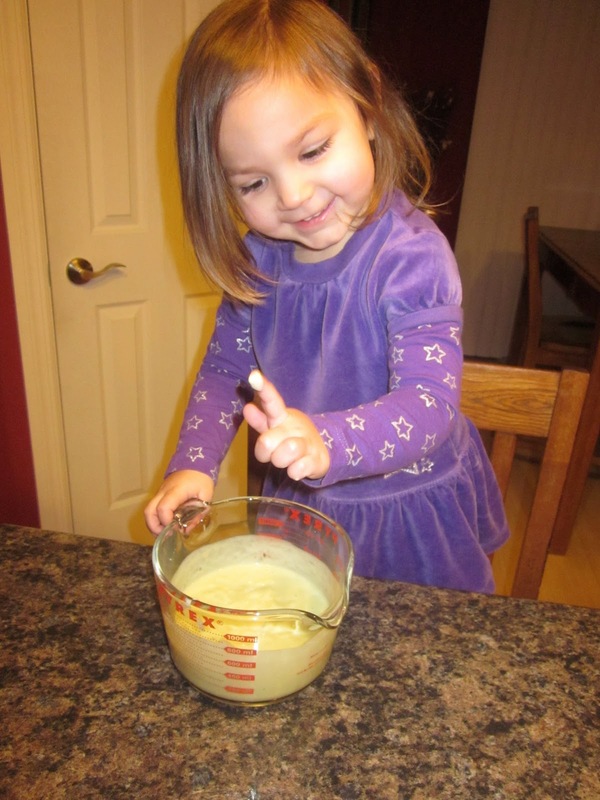 She likes pudding and I finally found one that is gluten and corn free.